Hi guys! 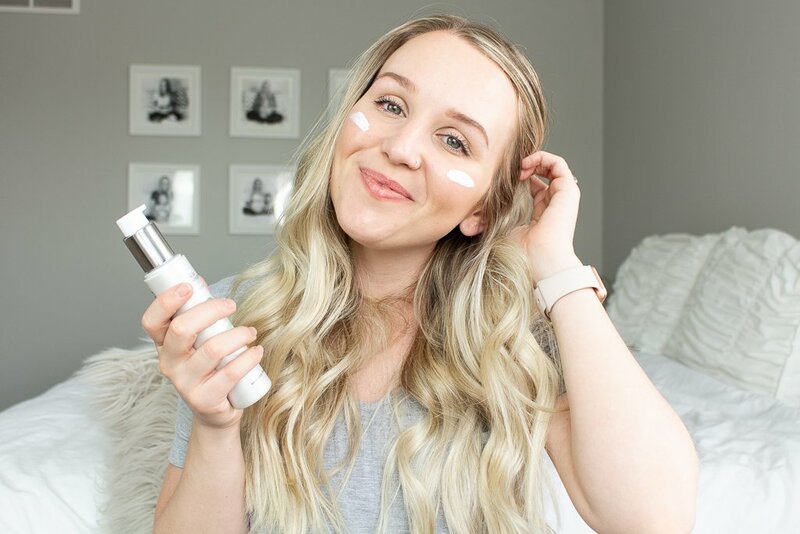 I have been using and loving some amazing summer skincare products (if you couldn’t tell from my Early Summer Favorites video) so I thought I’d do a post on everything. If you follow me you know I love skincare more than anything and I’ve been using some really good stuff to get your skin glowing. Because everyone needs radiant glowing skin right?! ALSO before I forget, there are a couple of giveaways still going on over at my Instagram click here to head over there. I love all of Pixi’s “glow” products and especially this glow mud cleanser. It has glycolic acid to gently exfoliate and reveal smoother/fresh skin. I have a favorite daytime serum and also a nighttime serums. The day time one is by H2o+ and it’s their illuminating serum. It has tons of ingredients to sooth and brighten skin. The nighttime serum is a concentrated gel by Pixi with 10% glycolic acid and other skin loving ingredients to soothe your skin. My all-time favorite moisturizer to get glowing skin is also by H2o+. It’s their Waterbright Radiating Moisturizer. It is absolutely perfect and it’s SPF 30 without feeling like sunscreen. It leaves my skin bright, healthy and glowing. Now I realize that this one is really expensive, in my opinion, so I do have a more affordable option, the Pixi Glowtion Day Dew. The one by Pixi just doesn’t have SPF or Vitamin C.
Masks are the bee’s knees, and glow/radiance boosting ones are my favorites. Patchology has a great illuminating one and I’m newly obsessed with the Musely face mask for glow-getters because it’s a newer gel formula that is literally mess-free and stays put so you can even sleep with it overnight. Use a facial mist in the morning, throughout the day, and at night. Keeping your skin hydrated is key in getting that glow. I love so many facial sprays but I’m especially loving the Kenzo Eau Douce de Lotus Frais right now, its a super fine mist and smells amazing. With all your hard work achieving the most glowing skin don’t forget about your eyes. Make sure to use a good eye cream morning and night. I’ve been loving the Clarins Multi-Active Yeux because it has a cooling metal tip. Have a day! What are you using to get glowing skin this summer? All these products sound so stunning! 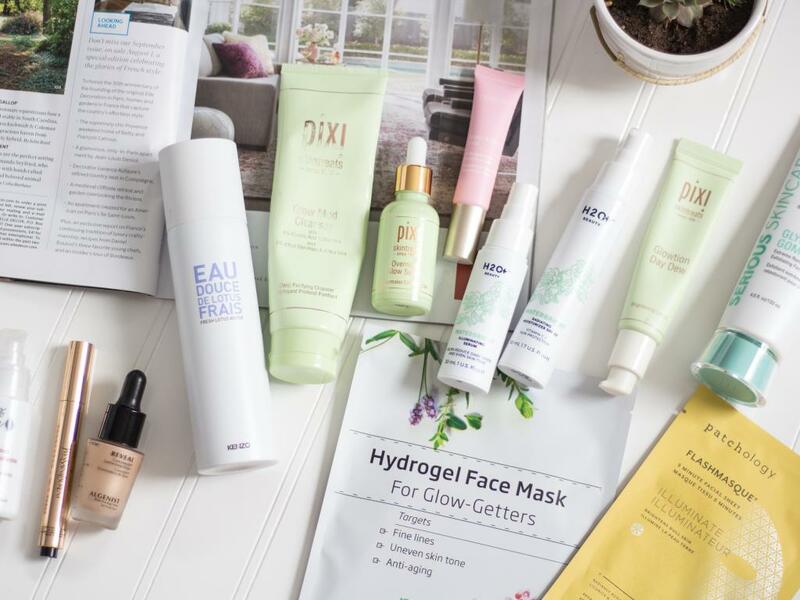 I am so keen on trying out pixie skincare! Their products sound absolutely heavenly. Pixi is definitely amazing. They have some new things I’m dying to try too. I love the bonus 5 min makeup! I have been rocking a lot of those quick, “no-makeup-makeup” or mama looks lately…perfect for summer, too! Great post! Lovely things! Thanks girl! The 5 min looks are the best!